Pampas grass can certainly be a pain to eradicate from your lawn or yard. It has a strong root system and can spread quite rapidly while reaching heights of nearly 10 feet tall. These traits make it often troubling and intimidating to remove. If you want to completely kill the pampas grass, you can do so with an environmentally friendly procedure that is also highly effective. 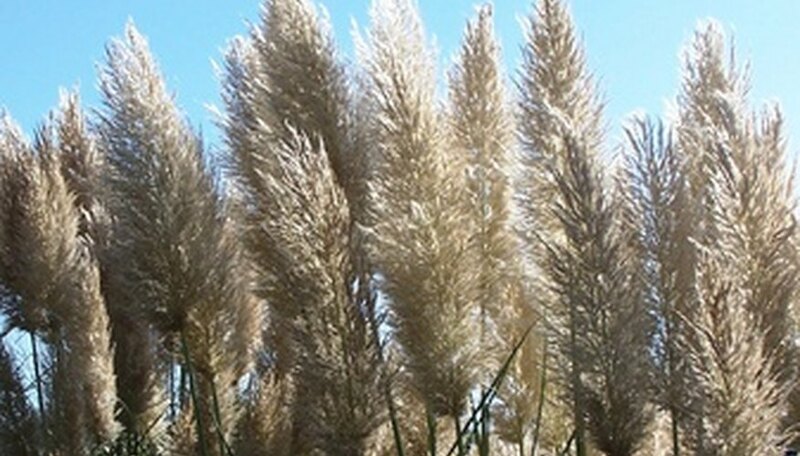 Properly remove the pampas grass from your yard and say goodbye to its tall stalks forever. Protect yourself from the sharp edges of the pampas grass leaves by wearing work gloves, eye protection and long-sleeved clothing. Grasp pampas grass clumps that are under three feet tall by the roots and pull them from the ground. The entire root crown of the pampas clump must be removed to completely eradicate it. Kill pampas grass six feet tall and higher with a machete and Pulaski ax. Cut down the stalks of the pampas grass with the machete, then chop the root crown with the Pulaski ax and slowly pry it from the ground to remove it in one or two pieces. Place the pampas grass root crowns and stalks that you cut down into plastic garbage bags and seal them. Be sure to dispose of the bags or the pampas grass may be able to spread again.